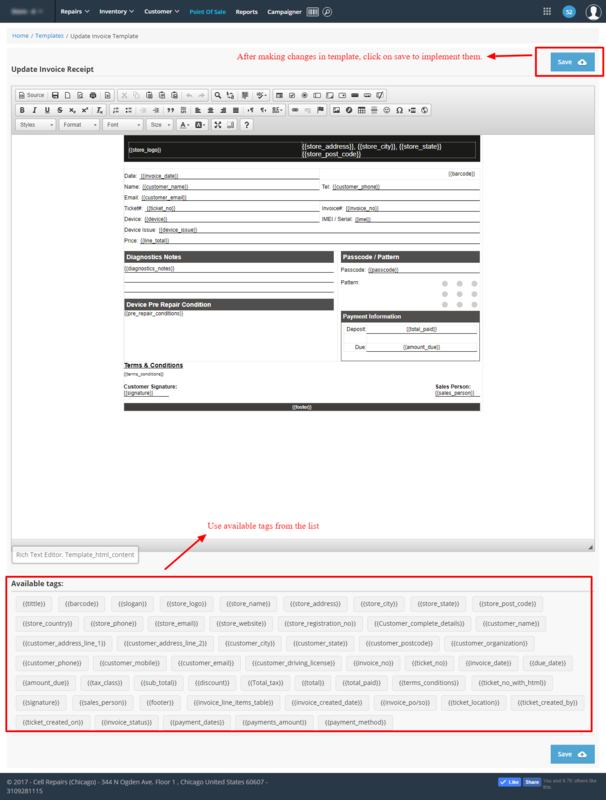 Tired of the same service receipt layouts when you book a repair job? No worries! 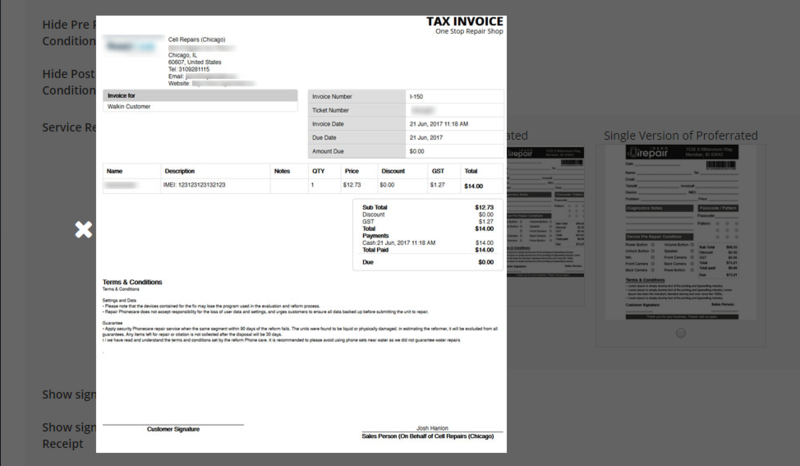 RepairDesk has introduced another cool and exciting feature which will allow you to the layout of a service receipt for a ticket. 3. From the left navigation menu, click on Module Configuration. 4. Select Receipt to view relevant settings. 5. Under Service Receipt Template you can view three designs to choose. a) Classic - Defualt service receipt template in RepairDesk. b) Perforated - Perforated serivce receipt which can be split into two. c)Single Version Perforated - a single page perforated receipt. 6. 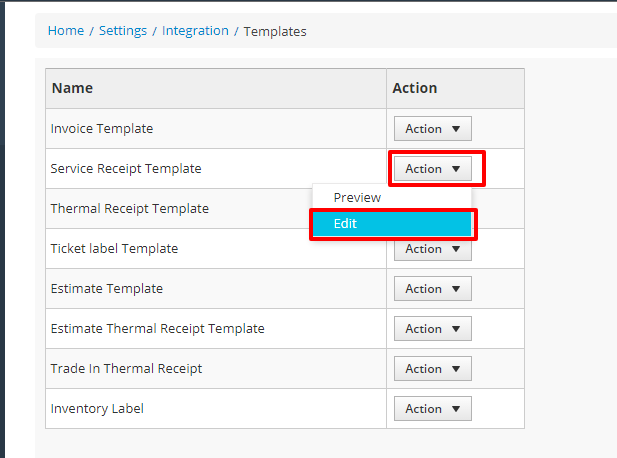 Click on the radio button to select a template. 7. Hit the Save button to use your selected layout. 4. From the list select Service Receipt Template. 5. Click on Action button and select Edit to make changes to the template. 6. You can use available tags at the bottom to modify template of service receipt according to the requirements that best meet your business needs. 7. Once done, click on Save button. Now you're good to go with the new layout! Q. Can I modify the layout of thermal receipt as well? A. No. Currently this option is only available for A4 size service receipts.